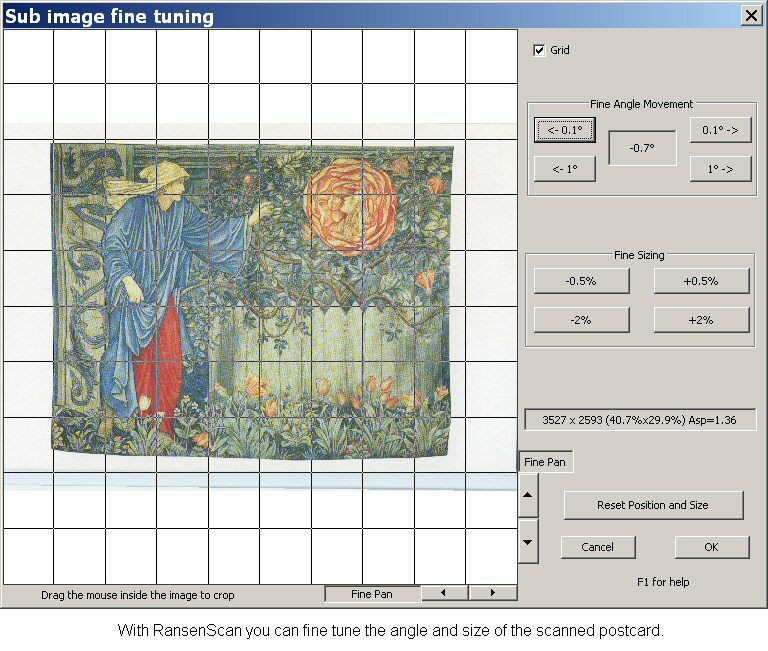 Note that even though one of the postcards has two images inside it RansenScan has been able to correctly extract the single postcard. It is not always that clever though. The optional grid lets you line up your images just so. You can change the angles 0.1° at a time for really fine tuning, or 1 degree at a time,see the buttons top right in the above screenshot. 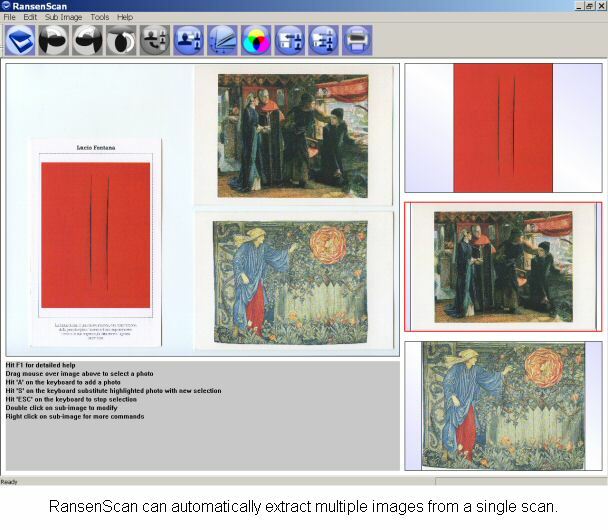 Unfortunately most scanners are too small and most postcards are too big to be able to get more than three postcards in one go, but at least RansenScan lets you extract and save those three images quickly. As far as DPI is concerned your best bet is to scan from between 300 and 600 DPI, most postcards have not been printed at more than 300 DPI (an industry standard). 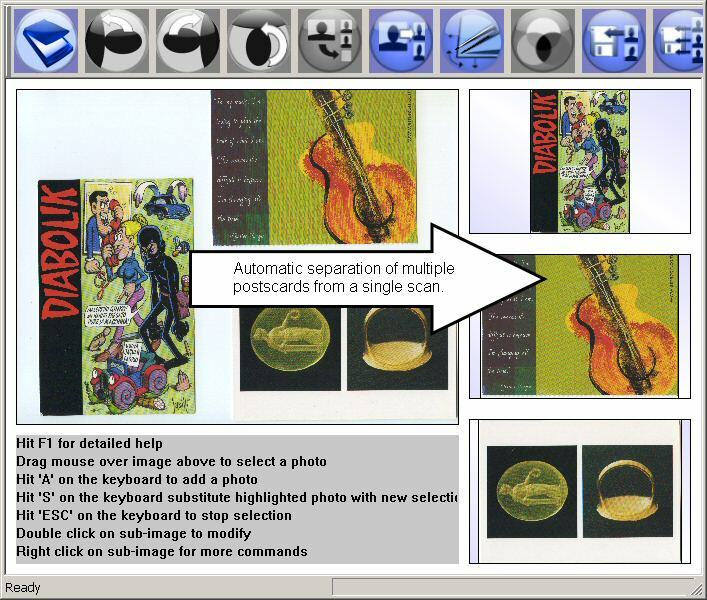 The software also helps you name and save the separated postcard images by letting you select a base name as explained here.